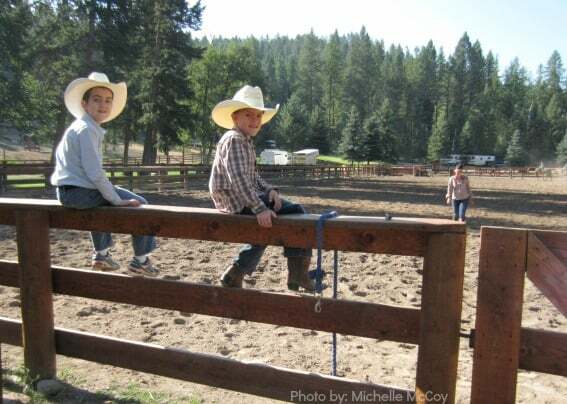 It’s time to pull on your boots and get ready for one of the greatest family vacations ever – a dude ranch! 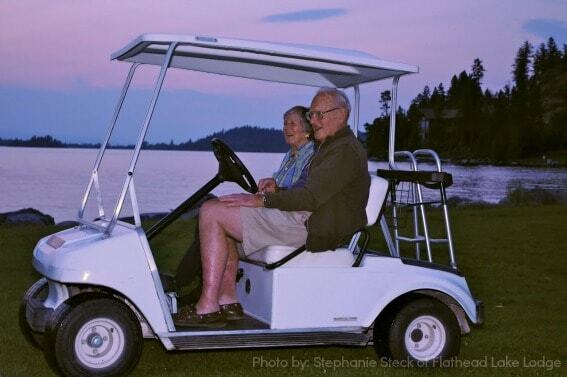 Spending a week together riding the trails, eating fresh-cooked meals, and playing games is an ideal way for grandparents, parents, and kids to connect and build memories that will last. Going to a family vacation at a dude ranch does not have to mean that you wear boots all day to protect your toes from snakes and dirt. Modern dude ranch vacations include cozy and luxurious accommodations, meals cooked from scratch by award winning chefs, and a variety activities to make everyone happy. 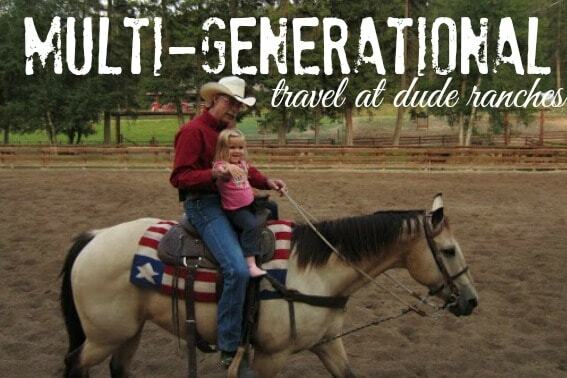 I’m here to tell you that a dude ranch vacation is the perfect multigenerational trip! 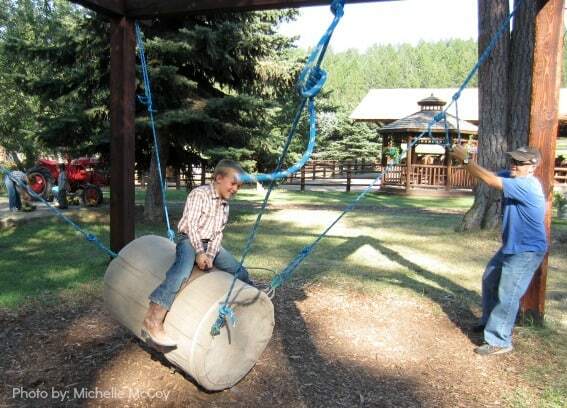 There is something for everyone at a dude ranch. After eating breakfast together, many families split up to enjoy all the activities offered at a ranch. There are trail rides based on ability, kids programs, and other optional adventures, not to mention the chance to sit by the pool and read a book. Grandparents can take part in the activities or watch their grandkids as they learn to ride horses or shoot bows and arrows. At dinner, everyone comes together again and stories are shared over freshly cooked meals. 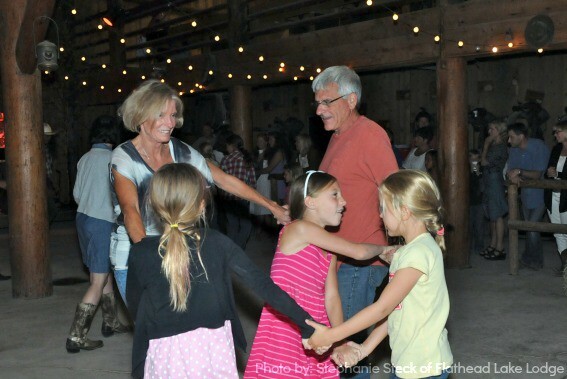 Many ranches offer an evening activity for all such as a barn dance, a rodeo, or roasting marshmallows over an open fire. One rainy afternoon at Flathead Lake Lodge, board games and puzzles were scattered across the tables in the main lodge. Parents and kids sat together playing monopoly and eating freshly baked cookies while a fire roared in the fireplace. It could hardly have been more ideal, even though the rain outside was preventing everyone from enjoying the horseback riding and swimming. 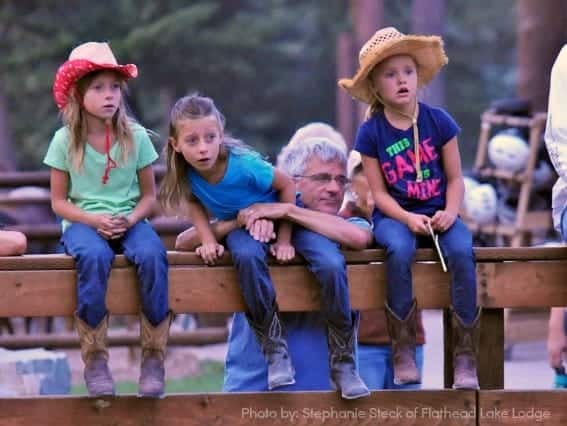 No matter what the situation at a ranch, there seems to be always something to do and families can enjoy every minute, making memories that will last a lifetime. It’s hard to compete for attention from kids when their noses are glued to their smart phones or video games. But give that kid the chance to run outdoors, ride a horse, swim in a pool, or shoot billiard balls, and you will find them putting their screens down and running off to find the next adventure. Most ranches don’t even have cell service or WiFi, and if that isn’t enough to convince any grandparent who has competed for attention from all the latest video games, I’m not sure what will. There are so many things to do all day long at a dude ranch that there just isn’t much time left over to play video games! Many ranches are able to fully accommodate those with accessibility issues such as the need for a wheelchair. Lodging and dining rooms are designed with families in mind and for those that need assistance. Evening activities such as campfire times and rodeos can be enjoyed by all. Check specifics with the ranch to make sure that your specific needs can be accommodated. Learning to ride a horse can be a difficult task. Putting the challenge before kids can create a situation where parents and grandparents can encourage and coach their children and then see them learn incredible things. Fears are overcome. Challenges are met. And new bonds can be built between generations when life lessons are shared and new skills are made. Although the upfront cost of an all-inclusive vacation can be a high price, the benefits are tremendous. Because there are no meals to cook, no rooms to be cleaned, no tasks of figuring out where to go next or how to save money on the next activity (or meal out) parents can completely relax. There is nothing like the freedom of enjoying a wonderful afternoon with your family when you don’t have to figure out where you are going to eat dinner! Tip: Find the perfect ranch to fit your family through Top50 Ranches. Book through them and they will donate a percentage to the St Jude Children’s Research Hospital and their fight against pediatric cancer. 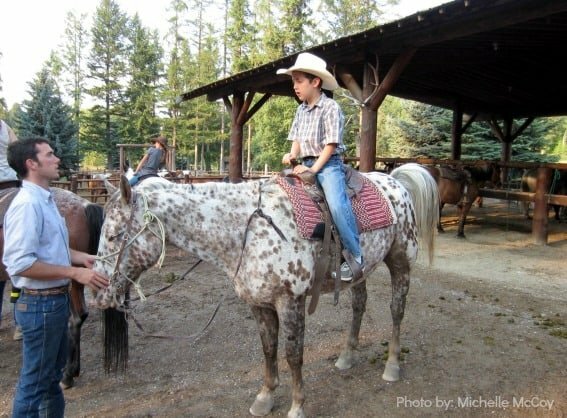 Find More Information About Dude Ranch Vacations on Trekaroo! One of the great benefit of dude ranch vacation is that it takes your family members more closer to each other. we can call the ranch vacation as the multigenarational family vacations, because the beautiful nature, adventures and activities are really enjoyable to all the age group of your family like toddlers, teenagers, adults, and grand parents. For all of those people ranch vacation will be great fun as it has activities such as fly fishing, rafting, spa, swimming pool plays, horse riding, children’s programs and many more to enjoy.